Some students see the ACT as the end-all be-all of college admissions decisions, while others argue extra curricular activities, clubs, and accolades are what really matter. So how important is the ACT, really? Can it make or break an admission officer's decision? How can your kid conquer this arduous exam? Put yourself in the shoes of a college admissions officer—so you are sorting through bunches and bunches of applications, trying to find some that shine. As much as you would like to give the proper amount of time to each application, that probably isn’t going to happen. Especially at larger universities. So, in order to filter the applications quickly, they’re going to look at numbers; namely, the GPA and ACT scores of the applicants. It would be much too difficult looking at each and every students' extra curricular and club engagement. So the short answer—yes, ACT is important to most colleges. But it doesn’t and shouldn’t define a student. That’s where we come in. There is a method to these tests, and it can be taught. 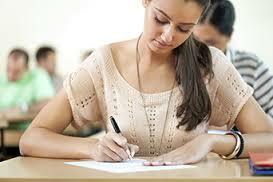 Tutoring from Chicago Academic achieves real results on the ACT through vigorous, closely monitored test prep. We'll target specific trouble areas of your student with our own methods of ACT Test Prep, delivered by the best tutors with rockstar personalities (minus the prima donna attitude). Of course, it makes sense why the organizations who make the test would say that it isn’t coachable—they’re trying to give the impression that the test is an infallible indicator of the amount of information students absorbed in high school. It is not possible to actually measure this, and standardized tests are known to suffer from socio-cultural biases and other factors that fudge results. In addition, there are many prominent academics that would greatly disagree that ACT is an accurate gauging of the sum of high school knowledge, including former Princeton President William Bowen. So even if your child’s GPA and ACT are low, that definitely does not mean they aren’t bright. It could possibly indicate flaws in the school’s curriculum or perhaps a systemic failure of American education as a whole, which is constantly being pressured for change by the No Child Left Behind (NCLB) act.